"I'M NOT giving in to security under pressure" ('The Enemy Within'). Rush are the sort of band you come back to. It would seem that sometimes their audience loses faith, retreats from their advances, and listens only to The Old Stuff. Often I have thought that their trademark of awkward rhythm changes has been manufactured simply to create an effect rather than adding anything to the nature of their music. 'Grace Under Pressure' overflows (as do all their albums) with artistic license. There are still signs that Leifson [sic], Lee and Peart are technology freaks (Brave New World men?) and the lyrics shift to impersonal software-speak a little too often for my liking. But for all that. 'Grace Under Pressure' is a well-crafted, well-sustained album. The admirable musical variations they have incorporated into their last three albums are still making waves. 'Instant [sic] Early Warning' is a sprightly opener with a Police-like feel to it; not as striking as starters such as 'Spirit Of Radio', it nevertheless establishes a standard of crystal clarity. 'Afterimage' is, on the other hand, an unusually private excursion: "Suddenly - You were gone / From all the lives / You left your mark upon" could be words to a dear departed friend, a far and welcome cry from android dialogue. 'Red Sector A' is an even greater departure, with an almost Wild West guitar a la cowpunk. This is the sort of material which will widen their audience but, by the same token, fans of By-Tor and '2112' will probably reel with shock at the commercial appeal of it. But hang in there, oh brethren of the unwashed, for there is something for everybody on 'Grace Under Pressure'. 'The Enemy Within' may verge on reggae (it works, by the way) but for those wanting something a little more hard-edged, look no further than 'Kid Gloves' which sees them venturing into the Big Country with more than a little accomplishment. 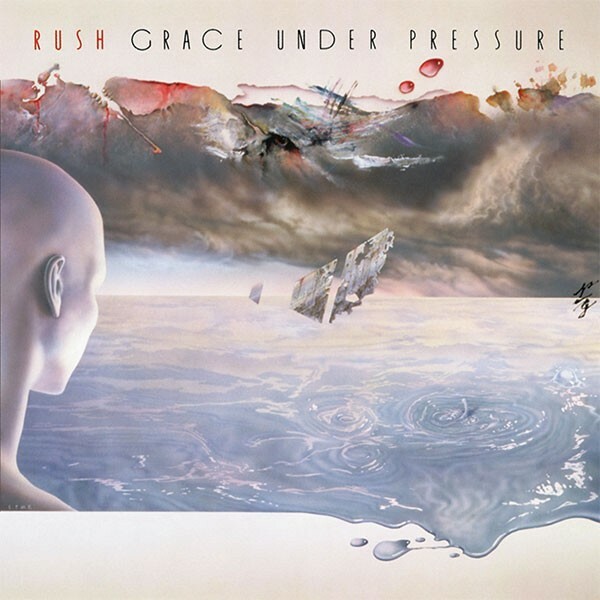 'Grace Under Pressure' is an equation that can easily be applied to Rush. They are making graceful sweeping advances and this album shows just how versatile they are and how much they have got to offer. And I have the strangest feeling that I've only scraped away at the surface of this record.